Salesforce integration can transform your CRM experience, business infrastructure, in-house software and business bottom line. 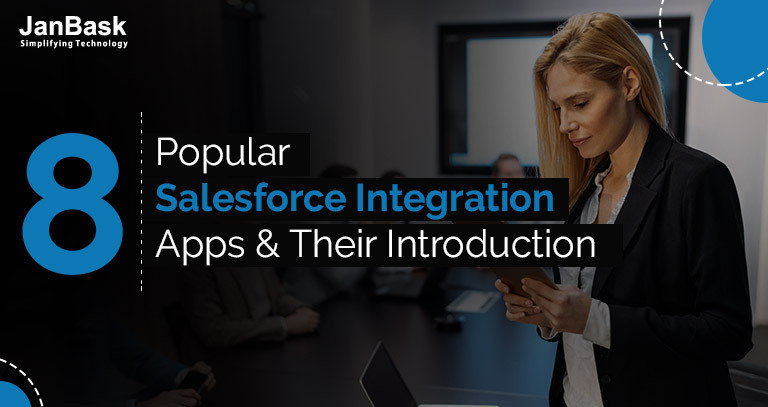 Before exploring Salesforce integration and the top most Salesforce integration, we need to understand what Salesforce integration exactly means. Through this integration, organizations can easily increase the employee’s efficiency and get lots of business benefits. Salesforce is one of the top most and most used CRM tools that Is used by the large number of organizations across the globe. Salesforce helps the organizations in managing their customer data, nurturing leads and connecting them with social media. 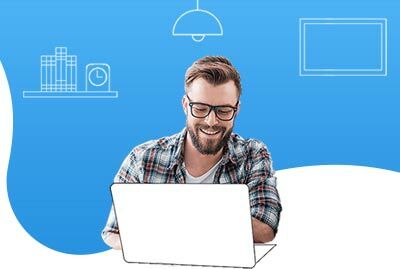 Apart from this Salesforce can help the businesses in managing various business operations but apart from Salesforce, organizations also must use many other applications to streamline their business operations. These other apps help them in managing various backend tasks, frontend interfaces, publishing content and many more. Salesforce can be integrated with several such advantageous third-party business apps so that it can bring various functionalities to a single interface. Marketo helps in marketing automation for any organizations and provide the features of managing leads, getting sales insights, creating effective social media marketing campaign sand understanding business revenue cycle. Marketo can be seamlessly integrated with Salesforce and helps in providing optimized and organized customer support and managing leads. Through Salesforce and Marketo integration organizations can know the readiness of its customers or leads and help them in nurturing those potential leads. The email marketing campaign’s performance can also be increased through this integration that is an imperative requirement for the marketing department of any organization. WordPress is a popular and most used content management system that is used by a number of business organizations to run and host their businesses. The platform is popular due to it’s simple and ready to use interface and thousands of useful plugins. Through the integration of Salesforce and WordPress, you can easily bring your CRM system to your website. This can help you in synchronizing the important data between these two apps. Through this integration, one can easily manage and track its customers and follow them. An ERP tool Microsoft Dynamics is used by a number of organizations as they can easily use Microsoft products through it. This tool helps them in managing and focusing the public sector along with the manufacturing and retail sectors. Some of the manufacturing and financial companies use Microsoft Dynamics so that they can use its other useful tools like Azure and Yammer for their organization. Through the integration of Salesforce with Microsoft Dynamics, you can easily bring an excellent CRM solution to your ERP. Even the businesses can run much effectively through Salesforce and Microsoft Dynamics integration. You will have to just choose the modules of Microsoft Dynamics to perform and complete this integration and then you can easily manage customers and leads. One of the most popular business applications known as Oracle E-Business Suite is used by large enterprises across the globe. It is being used due to a variety of its business beneficial features like HRMS, call centre service, supply chain management, etc. 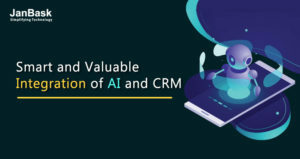 Through Salesforce and Oracle EBS integration, organizations can bring the customer management tools and techniques to their enterprise application suite. As Oracle EBS has several modules so businesses can integrate only required modules with Salesforce. Integration of ERP with Salesforce is a complex task and you may need the help of any professional as well. Drupal is used by the organization to run their website and especially the content dominating organizations prefer Drupal platform. Through Drupal, the organizations can manage their content and website in a comprehensive manner with the help of their web-admin. For large and complex websites Drupal is being used by the organizations and with the help of its integration with Salesforce the Drupal website can be made more customer-friendly. Through this integration excellent customer-service can be provided to the targeted audience as well. Moreover, qualified leads can easily be nurtured, and the web-traffic can be understood in a better way. Inside view tool helps the organizations in understanding their entire market. This is a SaaS tool that can help you in analysis and getting market insights. You can easily get customer information across the globe. Here through Salesforce and Inside View integration, you can get deeper market insights. It can help you in developing stronger brand management campaigns and better strategies for content marketing. To manage the on-demand finance and human capital you can use the Workday tool. This cloud-based application is used by the organizations to manage their finance and human capital. By integrating Workday and Salesforce you can easily manage your business in a better way and bring the two most useful business operations that our customers care and employee management. You can easily fill the missing gap between these functionalities through Salesforce and Workday integration. An ERP tool is SAP that helps the organizations in running their business successfully. You can turbocharge your day-to-day business operations through SAP ECC Salesforce integration. Through this integration, organizations can eliminate overlapping processes. 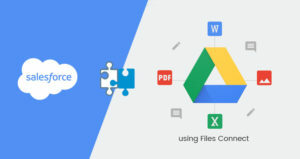 It saves you from creating duplicate data copies and improves the employee’s productivity. You can integrate only required and necessary SAP modules. While these apps can make many business operations easy, but still there are many other applications in the market that can be integrated with Salesforce to streamline the business operations. In future, the need to integrate Salesforce with lots of back end, front end and analytical applications will increase. Integration of Salesforce with other apps is not a single step process and may require expert involvement. Companies must choose the right architecture and be prepared for all its pros and cons. 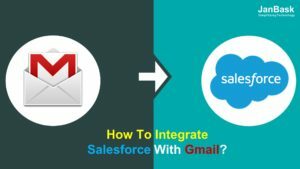 How To Integrate Salesforce With Gmail?